Quote: "I do one song on this Barbra Streisand album... that comes out soon, so I'm excited about that but who knows, man, maybe I'll do some sort of spoken word thing." Star Trek actor Chris Pine entertains the idea of a music-related album of his own after contributing vocals to Streisand's new music theatre covers project, Encore: Movie Partners Sing Broadway. Daisy Ridley, Anne Hathaway, Hugh Jackman, Jamie Foxx, and Melissa MCCarthy are all also set to feature on the disc. Quote: "I get off the plane, get in a car and I go straight to Tacos Delta on Sunset Boulevard. They make incredible Mexican food." 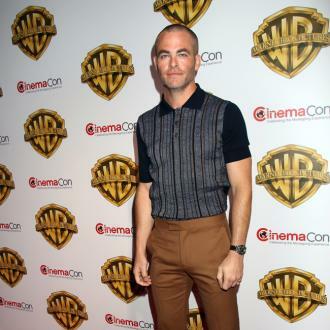 Actor Chris Pine looks forward to his first meal back in Los Angeles when he's working abroad. Quote: "I'm not allowed to tell you much. I'm super excited, of course. Gal Godot is super talented and (director) Patty Jenkins is going to deliver. What excites me the most is to get to be in a film with a female superhero. With a woman in the lead role. I'm teamed with an intelligent, beautiful strong woman to destroy evil and save humanity. You know, the routine." Chris Pine confirms he will be part of the new Wonder Woman movie. Fact: Star Trek fans have been offered a once-in-a-lifetime chance to land a walk-on role in the new sci-fi blockbuster by making a $10 (£6.25) charity donation on the Omaze.com website to enter the competition. The movie's stars, including Chris Pine, Zachary Quinto, Simon Pegg, Zoe Saldana and Idris Elba, teamed up to announce the news in a video on U.S. breakfast show Good Morning America on Tuesday (14Jul15), revealing six other entrants will also be selected to join their "honourary Star Trek Boldly Go crew". Star Trek Beyond, the sequel to 2013's Star Trek Into Darkness, is currently in production ahead of a summer, 2016 release. Fact: Leonardo Dicaprio, Tom Cruise and Chris Pine were among the Hollywood stars who turned out for a special party celebrating fashion brand Giorgio Armani in Italy on Wednesday night (29Apr15). The A-list guests at the design house's 40th anniversary celebrations in Milan also included Tina Turner, Sophia Loren, Janet Jackson and Glenn Close, while Boy George played a DJ set. Quote: "George Clooney and Gerry Butler... flirted the living daylights out of her. Idris Elba was in our same row, she loved him. My mum had a better time than I did." Chris Pine's mother Gwynne had a ball chatting to all sorts of Hollywood stars at the Oscars last month (Feb15), when she accompanied her son to the prizegiving as his date. Quote: "It was a wonderful performance and it was really moving... A lot of people gave me a lot of crap for it. And I would say, as an actor, the only time I can produce a single tear down my check was at the Academy Awards." Actor Chris Pine received a barrage of criticism after he was caught on camera shedding a tear at the Oscars during Common and John Legend's stirring performance of Academy Award-winning Selma theme Glory last month (Feb15). Fact: Oscar winner Patricia Arquette and actors Chris Pine and James Corden donned bad wigs on Tuesday (24Mar15) to recreate a dramatic scene from U.S. soap opera THE YOUNG AND THE RESTLESS for a funny sketch on the Brit's new The Late Late Show with James Corden. The actress portrayed Gina Tognoni's character Phyllis, while Pine played Matthew Atkinson's Austin and the TV host took on Peter Bergman's role of Jack. Quote: "She's been there three years now and she has... a whole system... Her bag's packed with, like, three (protein) bars, some peanuts, some almonds, some dip." Star Trek actor Chris Pine's mother is a snack professional when she attends the Oscars with her son. Fact: Actors Chris Pine and Jon Hamm are to join Bradley Cooper and Paul Rudd in the upcoming Tv reboot of 2001 cult comedy Wet Hot American Summer. Quote: "I've sung in the shower for years. I thought I was my own best teacher... I went to a singing coach and worked on it. (The lessons were an) incredible challenge in this past year that I had a lot of fun with." 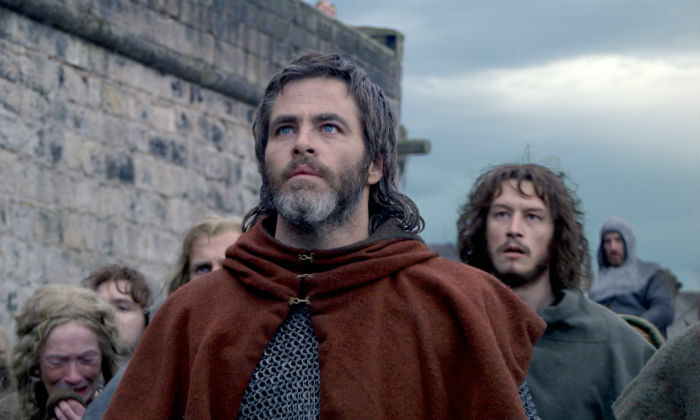 Actor Chris Pine perfected his shower singing skills by undertaking professional vocal coaching ahead of his role as Prince Charming in new movie musical, Into The Woods. Fact: Star Trek actor Chris Pine has transformed himself into a vampire lawyer for a new FunnyorDie.com sketch. Fact: Star Trek actor Chris Pine has been named as the new face of men's fragrance Armani Code. Quote: "He is such a cowboy. We were doing press and he showed up in his cuff jeans and his cowboy boots and his vest. You forget he was Bull Durham. He was Dances with Wolves. At my age, 33, I think he was making Dances with Wolves. He's an icon." Chris Pine on his Jack Ryan: Shadow Recruit co-star Kevin Costner. Quote: "I think we should do more than just send gay Olympians there. What's happening there in terms of gay rights or the lack of it is extraordinary and awful." 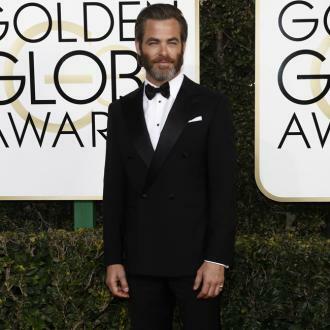 Movie star Chris Pine believes U.S. officials should be doing more to protest Russia's anti-gay legislation ahead of the Sochi Winter Olympics next month (Feb14). Quote: "What am I going to tweet about? My sneakers? Or, 'I have 140,000 friends on Facebook.' What does that even mean? I find it to be a waste of time. The Internet is so caustic; just a place where people get to spew nonsense and bulls**t." Star Trek star Chris Pine isn't a fan of social media sites like Twitter.com. Quote: "The head of our government can assassinate anyone, including an American citizen. We are striking countries with drones, sovereign countries. What if Mexico decided to bomb San Diego because there was a drug cartel there?" Actor Chris Pine isn't a fan of America's drone attacks. Quote: "It was a real cyclone of insanity, like being around The Beatles. It was fascinating to watch, and in hindsight it's really a distinct moment in someone's life when you see what's really wonderful about what we get to do and what's really dangerous about it." Actor Chris Pine on working with Lindsay Lohan on 2006 movie Just My Luck. Quote: "(I was) scared, pimply-faced, geeky, in huge coke-bottle glasses and a hat. A very sensitive kid. The last thing I imagined is I would be acting on film." Star Trek hunk Chris Pine insists he never thought he'd amount to much after his early baseball potential fizzled out at age 12. Quote: "In the first five minutes I was just like a weeping ball of emotion. Up! just killed me. The Notebook killed me. War Horse killed me." Sad films get Star Trek captain Chris Pine all emotional. Quote: "I need accountability. I need to know that I will lose out on money if I don't show up. Otherwise, I'll be chain smoking and drinking copious amounts of coffee. I wish I had the f**king willpower." Star Trek star Chris Pine pays for tennis sessions to stay in shape. Fact: Star Trek co-stars Chris Pine and Zoe Saldana have signed on to co-host the Academy of Motion Picture Arts and Sciences' Scientific and Technical Awards in Los Angeles on 9 February (13). They will present nine awards to 25 individual recipients during the gala at the Beverly Hills Hotel. Quote: "The only reason this came out is because I was asked on the red carpet in Las Vegas if I had read it, or if I was interested in it... Just as you do on red carpets as people throw questions at you, you try and answer as quickly as possible… but I don’t know anything about it other than I know many women that are reading the novels, and enjoying them very much." 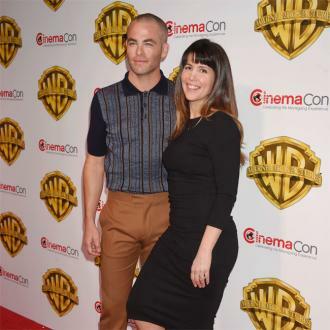 Star Trek star Chris Pine plays down reports he has been cast as the leading man in a movie adaptation of E.L. James' novel Fifty Shades of Grey. Quote: "Sometimes I think I need to get crazy. Go to Vegas. Do some drugs. Get some hookers. Gamble it all away. And it never happens. I usually just end up at home on my couch - reading." Star Trek star Chris Pine wishes he was more reckless. Quote: "There's so much smoke and mirrors in that thing. I wanna thank my Photoshop specialist for chiselling my jaw and giving me a five o'clock shadow (stubble)." Chris Pine insists his cover shot for the new Details magazine was doctored. Fact: The father of Star Trek's new CAPTAIN KIRK is actually younger than the actor playing his son - Aussie stud CHRIS HEMSWORTH is 25, while Chris Pine is 28. Quote: "Ironically, my father, who's also an actor, was cast in a Priceline commercial with (William) Shatner two weeks after I got the part in Star Trek. I don't think they spent a lot of time discussing me." Star Trek's new Captain Kirk Chris Pine on his odd ties to the original star of the sci-fi franchise. Fact: New Star Trek captain Chris Pine's father, Robert Pine, was a sergeant in TV cop show CHiPs. Fact: The fit stars of the new Star Trek movie will grace the upcoming covers of sister American magazines Women's Health and Men's Health - Zoe Saldana appears on one and Chris Pine the other. Fact: The stars of the new Star Trek movie have been turned into dolls. Chris Pine's Captain Kirk, Zachary Quinto's Spock and Zoe Saldana's Uhuru have been recreated as new Barbie dolls by toymakers Mattel. Quote: "I'm six-foot, I weigh about a buck 65 (165 pounds), went to private school, and grew up in the (San Fernando) Valley - I wouldn't follow me into battle." Star Trek's new CAPTAIN KIRK, Chris Pine, is still surprised he landed the iconic role in J.J. ADAMS' new film.